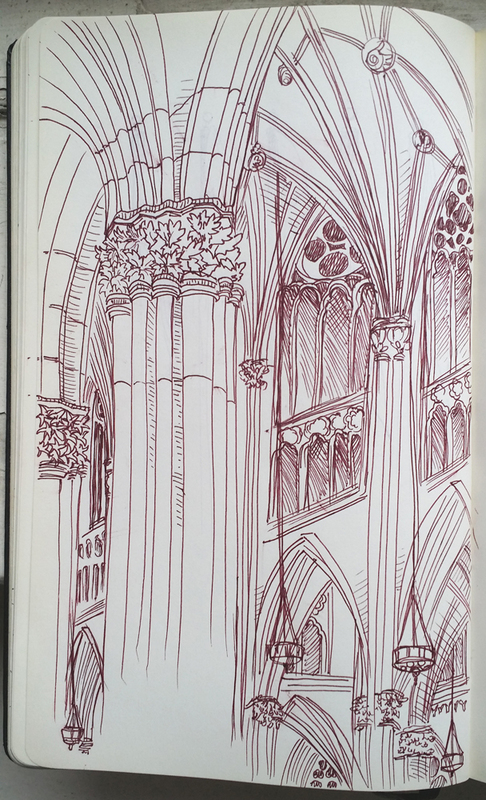 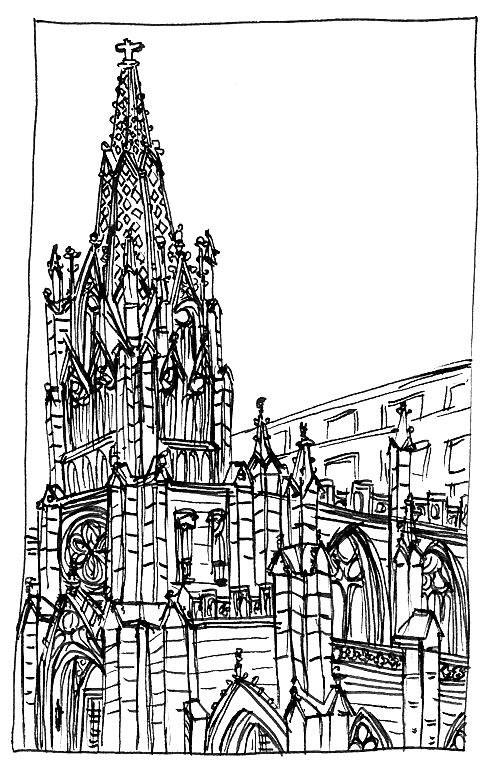 Sketch of the interior of St. Patrick’s Cathedral, Manhattan. 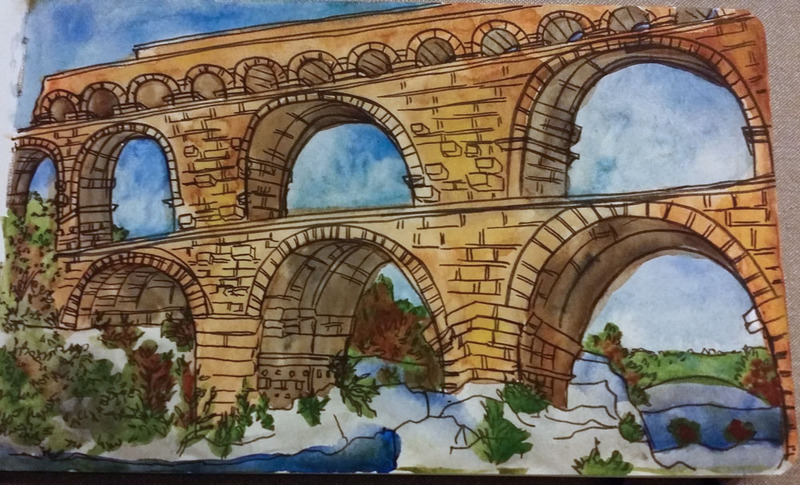 On-location watercolor sketch of Pont du Gard, France. 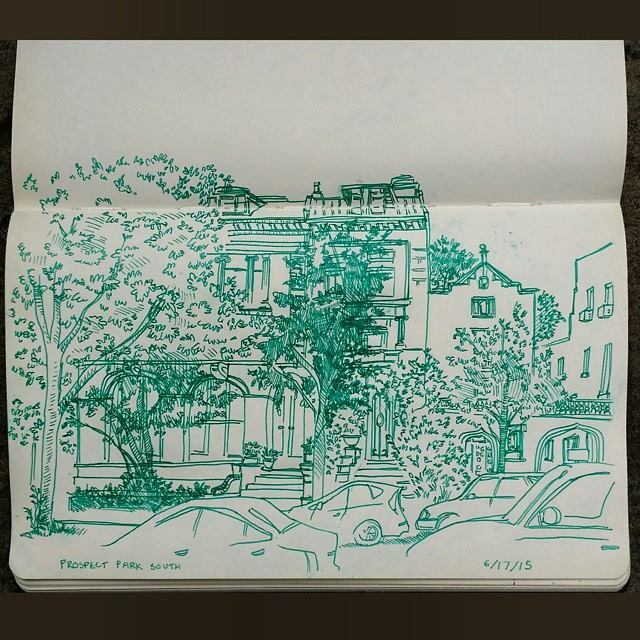 An on-location sketch near Park Slope, Brooklyn.